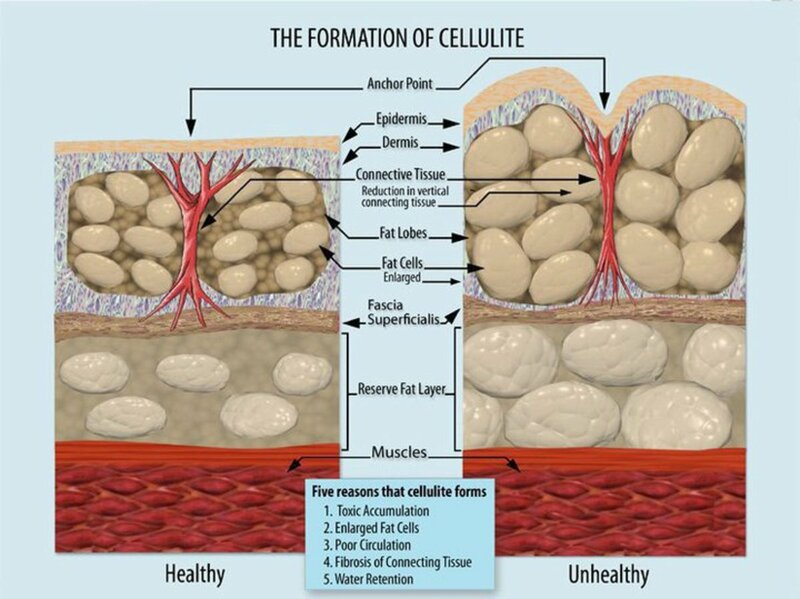 The cause of cellulite is wide-reaching: hormones, genetics, diet, diabetes, and lifestyle can all play a part. Toxins and fat build up in the deep layers of our skin, and become noticeable and dimpled when collagen fibers push down on the fatty tissue. The following cellulite treatments are intended to help remove toxins from your body and reduce the appearance of cellulite naturally, and in the comfort of your own home. Coffee isn't just good for a mental pick-me-up, it can also help perk up your skin. Coffee grounds are rich with nutritious oils that are beneficial for the skin, and it also possesses caffeine and antioxidants which get rid of free radicals and stimulate blood flow in your skin. By stimulating blood flow, you break up the concentration of fatty tissue deposits, which gives your skin a smoother appearance. Not only that, but the coarseness of coffee grounds also acts as a natural exfoliate by removing dead skin cells, making it one of the best cellulite treatments. To use, take coarsely ground coffee and place it in a bowl with warm water. Next, place a towel beneath on the ground underneath you as this method can be a bit messy. Using your hands, rub the warmed coffee grounds into the affected areas for about 15 minutes, then rinse off. 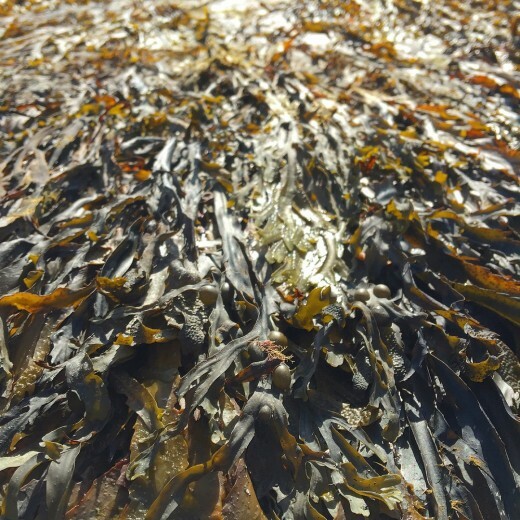 People have been using seaweed as a valuable source of B vitamins and to tone the skin and for over 100 years. Topical application of seaweed an help absorb fat and reduce cellulite. This plant can also help stimulate blood flow and aids the body in shedding the excess fluids that can exacerbate the appearance of cellulite. The high amount of iodine in seaweed helps to stimulate your metabolism, raise body temperature, and reduce cellulite. It also acts a magnet by encouraging positive ions on the skin to move toward the bloodstream and later be eliminated. You can find seaweed flakes or sheets in any health food store. To use, boil a large spoonful of seaweed flakes and add the mixture to a warm bath. If you live near the sea, or have access to fresh seaweed, you can use it for this cellulite treatment. To do so, add fresh seaweed as your bathtub is filling and soak for at least 30 minutes. Take a seaweed bath at least once a week to fight off the appearance of cellulite and to get rid of toxins in your body. Epsom salts have long been trusted as a natural cure for a variety of skin problems (including cellulite), and using it in a bath is an especially decadent experience. 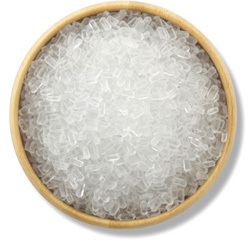 Epsom salt is comprised mainly of magnesium and sulfur which are elements essential for good health. Excess stress drains the body of magnesium, which can cause cellulite to form. When you take an Epsom salt bath, it replenishes magnesium (a natural stress reliever) in the body, and boosts production of serotonin. Magnesium has also been show to improve circulation and oxygen exchange, two things that can drastically reduce cellulite. With an Epsom salt bath, you not only get the benefits of the magnesium, you also reap its softening and exfoliating effects on the skin. To make a bath, simply add a cup of Epsom salt to warm water, mix in well, and relax in the bath for at least 20 minutes. Repeat this cellulite treatment at least twice a week. The warm water helps the Epsom salt to be efficiently absorbed by the skin for maximum effectiveness. Did you know that one-third of your body's toxins leave through your skin? 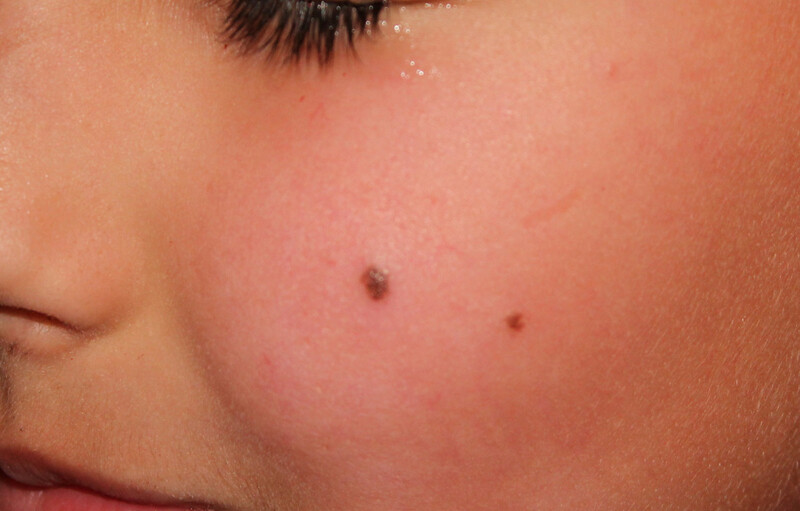 Oftentimes, the toxins can become trapped in and behind clogged pores or dead layers of skin. An excess of toxins can bind to fat cells and cause poor blood flow and dimpled skin--cellulite. Internally, using a cellulite brush (also known as dry skin brushing) helps by stimulating your lymphatic system and circulation, which, in turn, improves your digestive system and expulsion of toxins. Externally, dry brushing cellulite removes dirt and dead skin cells, promoting smoother and tighter skin. Look for a cellulite brush with natural or vegetable-derived bristles that are somewhat stiff. You don't just have to focus on the areas affected by cellulite; dry skin brushing is effective for the whole body. When dry brushing, you should make long sweeping motions and always brush towards your heart, which is better for your lymphatic system and circulation. Start at your feet and move up the legs--be firm, but take care not too brush so hard that you irritate your skin. This dry brushing practice is gentle enough to perform every day. Essential oils go to the root cause of cellulite by helping your body remove toxins stored in fat cells. 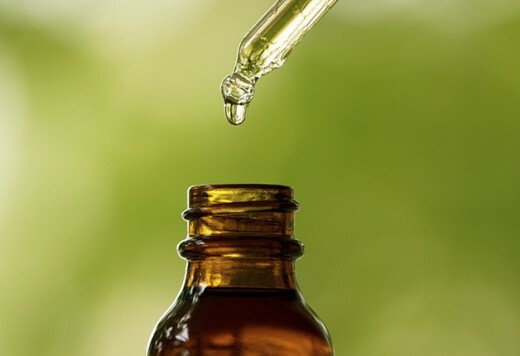 Many essential oils are have anti-bacterial properties which help deliver oxygen to our body's cells and can be used internally and topically for cellulite treatments. Citrus oils in particular (such as grapefruit and tangerine), are ideal for getting rid of cellulite and toning the skin. Simply massage the affected area with either essential oil once a day to increase circulation and improve skin texture. To detox your body from the inside out and improve digestion, add a few drops of food-grade grapefruit or tangerine essential oil to water or juice once a day. When using citrus oils on your skin, keep in mind that they can cause photo-sensitivity, so apply them at night, or keep your skin covered if you go outside. For more ways to treat cellulite and lessen toxins in the body, see the article, "Natural Ways to Reduce Toxins and Diminish Cellulite Part 2." Its a great technique and smells wonderful! Thanks for all the interesting suggestions. I especially like the coffee grounds idea.